AAPL shares are currently trading above the $157 mark on the intraday market, recouping virtually all losses incurred since Apple CEO Tim Cook slashed Apple's revenue guidance by up to $9 billion for the first quarter of its 2019 fiscal year. 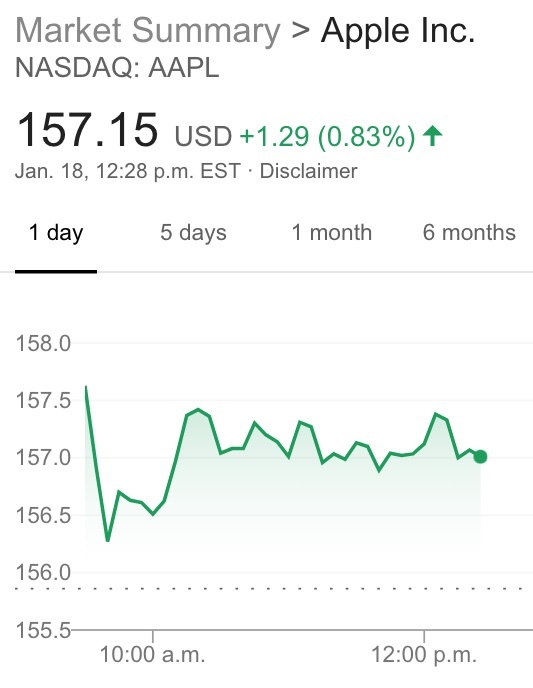 AAPL closed at $157.92 on January 2, immediately prior to Cook revealing the shortfall in an after-hours letter to shareholders, and is now trading just cents below that level. The stock has gradually recovered over the past two weeks since establishing a new 52-week low of $142 on January 3.